U.S. Sen. John McCain, R-Ariz., admonished President Barack Obama Friday for deriding Republican characterization of the stimulus plan as a spending bill. “What do you think a stimulus is? That’s the whole point. No, seriously, that’s the point,” Obama said during a retreat of House of Representatives Democrats at the retreat in Williamsburg, Va. The GOP presidential nominee also called on Senate Democratic leader Harry Reid, D-Nev., and Senate Republican leader Mitch McConnell, R-Ky., to appoint a bipartisan panel “to hash this thing out” and look for areas where it can be cut. 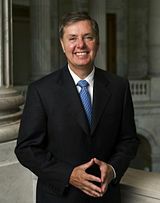 While McCain hasn’t commented much publicly until Friday about the stimulus package, Sen. Lindsey Graham, R-S.C., told Politico he believed Obama was “AWOL” on bipartisan negotiations on the stimulus, further showing the discontent on the GOP side of the aisle. McCain picked up that theme Friday, saying “picking off” a handful of Republicans doesn’t signify a bipartisan effort. No Republicans voted for the measure last week when the House passed its version. Barack Obama needs to make a deal on the stimulus. The House version of the stimulus is terrible and cannot be enacted into law — beacuase it would be very bad law not because the Republicans are in the way. Plus a group of Senate moderates have been crafting an alternative stimulus package that just might right some of the wrongs of the House bill. The President said, “I won.” But his “catastrophe,” the economy and the lack of a stimulus, remains. Now the president needs to make a deal. A deal deal. Senate moderates seeking to pare back Barack Obama’s economic plan are rekindling their efforts in hopes of building a bipartisan vote that eluded the president in the House. A group of nearly 20 moderates from both parties — more Democrats than Republicans — huddled off and on all day Thursday in hopes of cutting as much as $100 billion from Obama’s plan, which ballooned to $937 billion on the Senate floor, with further add-ons possible during a long day of votes Friday. Senate Majority Leader Harry Reid, D-Nev., displayed impatience with the moderates, led by Susan Collins, R-Maine, and Ben Nelson, D-Neb., at a midday news conference, but he lent them encouragement as he sent senators home later Thursday. A roster of $88 billion worth of cuts was circulating, almost half of which would come from education grants to states, with an additional $13 billion in aid to local school districts for special education and the No Child Left Behind law on the chopping block as well. Some $870 million to fight the flu was among the first items to go, but other items divided the group. At the same time, the group also was hoping to add perhaps $25 billion in additional infrastructure projects. “We’ve added more tax cuts and tax relief. We’ve trimmed out some of the fat and now we have to add a little muscle,” Landrieu said, referring to additional infrastructure spending. If the group fails to reach an accord — or if it won’t fly with Democratic loyalists — the alternative for Reid is to try to ram the measure through with just a few GOP supporters, such as Olympia Snowe of Maine. He expressed confidence he has the 60 votes needed to press it through if need be. The massive measure is a key early test for Obama, who has made it the centerpiece of his fledgling presidency. Obama embraced the moderates’ efforts, saying he would “love to see additional improvements” in the bill. Speaking to a House Democratic retreat in Williamsburg, Va., Obama pushed Democrats to avoid political gamesmanship and get a stimulus bill to his desk by next week. The drama over President Obama’s pricey stimulus package has put House Speaker Nancy Pelosi at center stage. And when the curtain comes down on the final plan, the reviews may come to this: Did she play the uniter or the divider? Fired up by a Rush Limbaugh-led charge against what they called a “Pelosi-Reid” pork-laden package, GOP leaders took to the airwaves and the blogs to lambaste items such as $335 million in funding for education against sexually transmitted diseases and a makeover of the National Mall. They talked up the need for more tax relief, which they said would bolster the economy and howled that they were shut out of the process. White House Press Secretary Robert Gibbs said the lawmakers will have to answer to their constituents. You are currently browsing the archives for the bipartisan category.